ITIs (Industrial Training Institutes) in India are offering some of the best vocational courses out there. 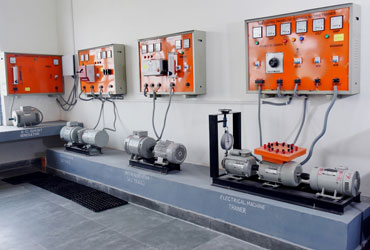 Electrician trade/course is one such job oriented vocational course. It is a 2 years long course. 10th passed students (with Science subject) are eligible to pursue this course. At the end of training, successful candidates are awarded Vocational Training certificates. It is a Vocational Training Certificate course. 10th pass (under 10+2 system of schooling) is the minimum qualification required to pursue this course. Many private and government operated ITIs across India are offering electrician trade. Most of them rely on merit based admission process. Some ITIs are also know to rely on direct admission process. TI passed electricians have diverse job opportunities available in front of them. They have access to both private sector and government sector jobs. Besides that, self employment is another opportunity available in front of them. Fitter is a gathering structural framework vocational trade. There are numerous things/aspects understudies learn during course, for example, fitting and gathering auxiliary structures and lodgings from materials like edge iron, I-shafts, and plate steel, utilizing hand-devices and welding hardware and taking after plan details: inspects outlines and materials rundown to get parts particulars, and so on. There are such a large number of ITIs and different establishments offering trade. Includes both practical and theory classes. Candidates should have the capacity to appreciate specialized work, physically fit; great hand-eye co-appointment; ready to work freely or as a major aspect of a group; reasonable capacity and an eye for point of interest. They must be mindful of security regulations, for example, wearing personal protective equipment during working hours. They ought to have physical quality and stamina and have the capacity to work in uncomfortable positions. Students after passing Fitter exchange can strive for further higher Diploma/Bachelor Degree courses, which improves their capabilities. They can discover employments underway and producing businesses; auxiliary creation like extensions, rooftop structures, building & development; vehicles and partnered commercial enterprises and administration commercial ventures like street transportation and lines. Fitter Trade pass students have bright scopes in ship building and repair; infrastructure and defence organisations; public sector industries like BHEL, BEML, NTPC, etc and private industries in India & abroad.